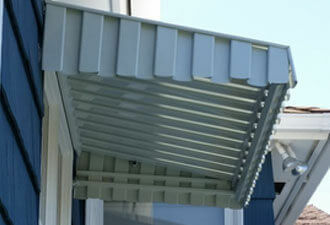 With Aluminum City, you'll get the highest quality window awnings and door hoods at the best price. 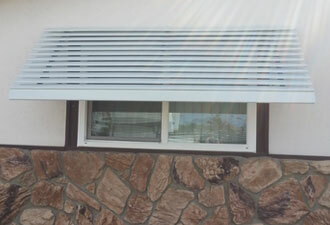 We've been selling and installing window awnings and door hoods in San Diego for over 50 years and have developed a reputation for value. More than a third of our business comes from repeat customers and referrals, and we've maintained an A+ rating with the Better Business Bureau. 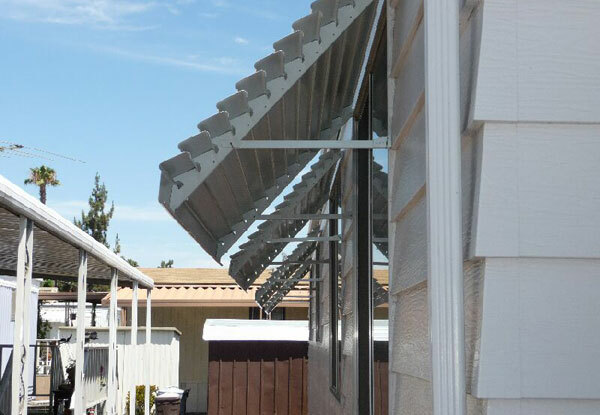 When it comes to affordable awnings and door hoods, we consider no job too big or too small, and are committed to each client's complete satisfaction. 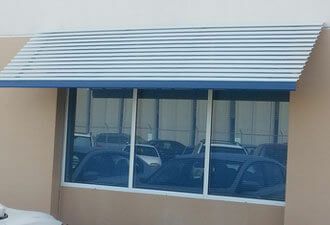 At Aluminum City, our window awnings and door hoods are custom designed to beautify and shield entrances of any shape or size. 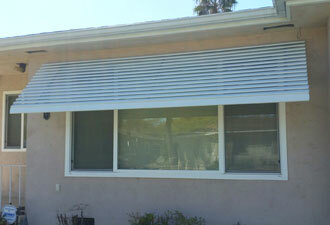 They are made by overlapping individual 3½-inch aluminum slats and come in 20 different colors. 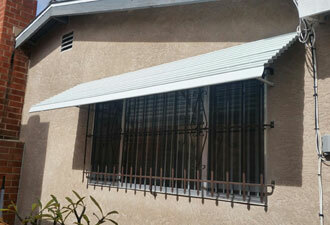 Additionally, doors hoods feature return side wings that further help to block the sun's rays. 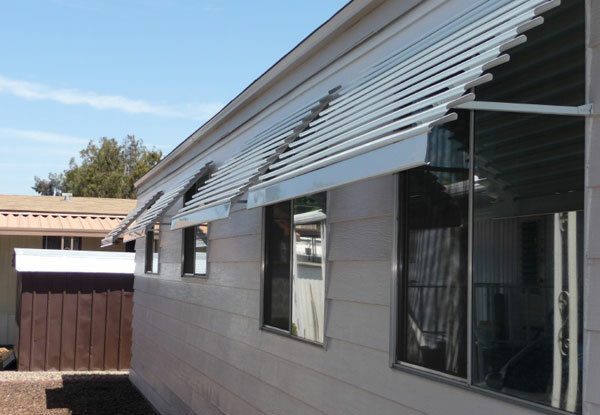 While fabric awnings may fade and tear, iron awnings rust, and wood awnings can become susceptible to termites and rot, aluminum window awnings and door hoods require little to no maintenance, are extremely durable, and will never rot, rust, peel, or crack. Not only will our window awnings and door hoods look beautiful for decades, but they'll also improve your indoor comfort, protect your furniture and carpet, and reduce your air conditioning usage. 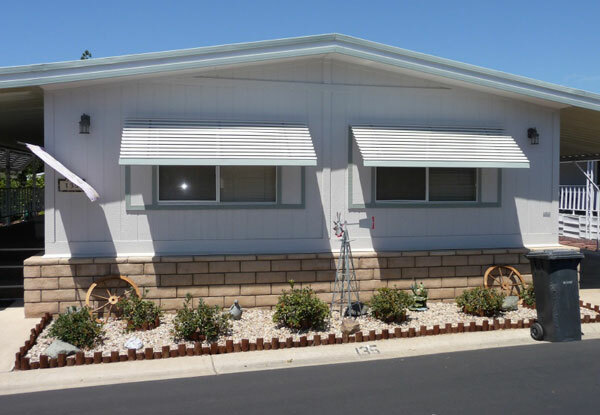 These coverings can be seen throughout San Diego on homes, office buildings, apartment complexes, retirement homes, restaurants, mobile homes, and other residential and commercial buildings. Particularly for businesses, they can even be used to create curb appeal. Call Aluminum City at (619) 562-1652 to learn more. We can answer your questions over the phone or schedule a free on-site consultation anywhere in and near San Diego, Escondido, Chula Vista, Poway, Rancho Bernardo. 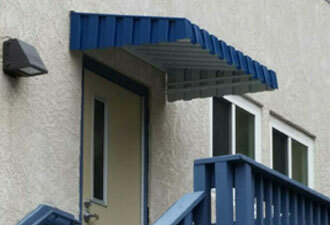 One of our awning experts will take measurements, help you choose which color or combination of colors will best complement your building, and provide an upfront estimate. 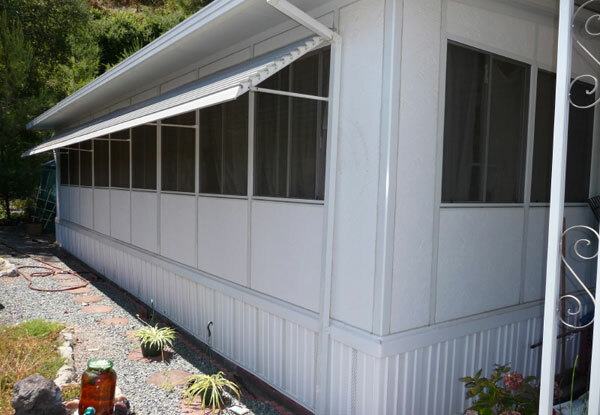 All work is done by the owners themselves, without any subcontractors or salesmen, which allows us to offer lower prices than both big box stores and other San Diego awning companies without ever compromising on quality. 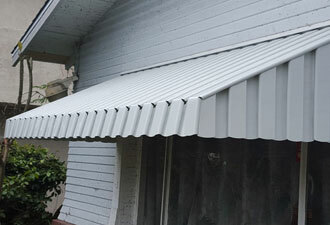 Aluminum City is fully licensed and insured.